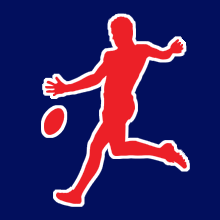 There will be no more matches this weekend for the Port Moresby AFL competition. According to the Port Moresby AFL Competition President Mr. Douglas Lai, the Colts Oval where all senior matches are usually held, will undergo refurbishment. The PNG Sports Foundation gave the notice to the AFL body this week informing them that the work will take about two weeks to complete. This means weekend matches and training sessions as well on the week days will be cancelled. Meanwhile, the notice issued has angered the president because of the implications the cancellation of matches will have on the competition. Mr. Lai, said the notice of was issued very late just this week. “They have not given us enough time to find some other venue to hold the competition,” he said. He said the notice should have been given two weeks in advance to give them enough time to make other arrangements. The Colts Oval, located at the Bisini sports grounds has always been the venue for matches for the Port Moresby competition.